We have an online application for selected grades. Membership application forms in document format can be accessed from the website. 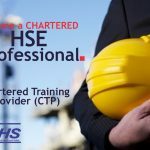 CIEHS Certification program leading to Graduate Member, Associate Membership, Chartered Environmental Health Professional (CEHP), Chartered Health and Safety Professional (CHSP) Certifications which offers great employment opportunities in the oil & gas, heavy industry, marine and energy sectors. 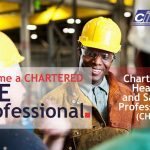 CIEHS organizes many free events for members to acquire new knowledge and networking opportunities. Participants to these events will also receive Certificate of Attendance for their Continuing Professional Development records. The Council shall establish a Memberships Committee which will be responsible for review of applications for award of membership grades. The Memberships Committee shall recommend to the Council and approval at Council Meetings. All grades of memberships are awarded at the discretion of the Council and may be withheld or withdrawn in the event of conduct likely to prejudice the standing of the Institute. Every member shall receive a membership certificate. The Memberships Committee shall be responsible for drafting the “Regulations Governing Admission and Award of Member Grades” for Council approval. These regulations may be changed from time to time subject to Council approval. Every application for membership shall be proposed and seconded according to these regulations and shall be forwarded to the Institute Secretary who shall, at the first convenient opportunity, submit it to the Council for approval the Council may at its discretion reject any application without assigning any reason thereof. Each company on admission shall be entitled to nominate one representative to exercise all rights of membership. Only representatives of the Company membership, Fellows. 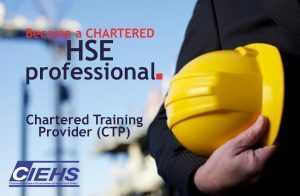 Chartered Members and Associate members shall have the right to vote and to hold office in CIEHS offices and chapters.